My mentor is my friend David. Now I met David quite a few years ago. He was working as a consultant for an agency I used to do some work for at my fire protection company. Now that agency then, it was a government agency, it shut down, but I had kept in contact with David and asked if he would do some work for me. His expertise was finance and he does all that kind of stuff. So he helped to straighten out the finances of the company and what I mean by that is to be like my part-time financial director. So he changed the way we looked at some of the data that we present and he helped us see things in a different light, and that was his job. Now, some years later, he’s still doing that, and he is making great money at it, by the way, but now, instead of working for me, he is my mentor. One of the reasons I wanted him was his experience. Now David has worked in the airline industries, he’s British, but he’s worked in a car industry, in a finance industry, he’s worked in Australia, and he has worked in many different aspects and he still has some high maintenance clients. But I use him for his brain, for his experience, his knowledge and by meeting with him every week I get to have a sounding board. Now at the top of your business, generally if you are just you, if it’s not a two or three way partnership, then quite often you are going to make decisions and you don’t really have anyone on your level to talk to or to bounce ideas off of. It’s not necessarily something you can talk to your team or staff or the people who report to you about. You just can’t talk to them. Now you could possibly talk to your spouse but your spouse probably doesn’t work in the business. As much as your spouse will help and help understand and will support you, if they’re not involved and if they don’t have the business acumen then they are not really going to really look at it from your point of view. They also may be tempted to tell you what you want to hear and that’s not always a good thing. So, it’s helpful to have a mentor. Now what better than if that mentor happens to do work for you, then you don’t have to pay him any extra. But the way I work with David is that we will just discuss work so we will discuss our points… And by the way, when we meet, we meet out of the office, away from distractions so that people can’t interrupt us and ask about work stuff, because we’re having a specific meeting about improving the business and the business’s future. So we will discuss ideas, it may be an old idea that we discussed before, but we’ll discuss it again, we’ll discuss the details. And every time we do this we will come up with a new way of looking at it, we’ll come up with new reasons, new angles, new considerations, etc. Sometimes these ideas become great ideas, sometimes we decide they’re awful, sometimes we can go off on a completely different tangent and put that idea aside for another business, for if we ever get over excited and want to start another business. David is a sounding board, he knows the questions to ask, he’s worked with me long enough to know how I work and to understand how my brain works. And that is also important; don’t expect these relationships to gel immediately. But a lot of what I do has been run by David, not in a way that he may realize, but I have bounced ideas off him and it’s made me rethink my ideas, clean them up, tidy them up and then possibly go with them. Now we don’t implement a lot of our ideas because there’s too many , but when they are good, then we go for it. We go lean start-up style and just dive in and go for it, nothing better than that, by the way. So, how do you get your David? Well, I suggest you ask people, I suggest you contact someone, someone older than yourself, more established and more experienced. Go for it. Now if you have to do that with ten people first before you find one, it’s perfect. Firstly, the great thing is, you’re going to get to know ten people, you’re going to have coffee or lunch with ten experienced people, you’re going to find out other things. Another one is you’re probably going to get somebody more than likely for free and you can stroke the ego of an established person if they are near retirement or post retirement they will probably gladly help a young person like yourself. So go for it, go on, get yourself a mentor, it will help. 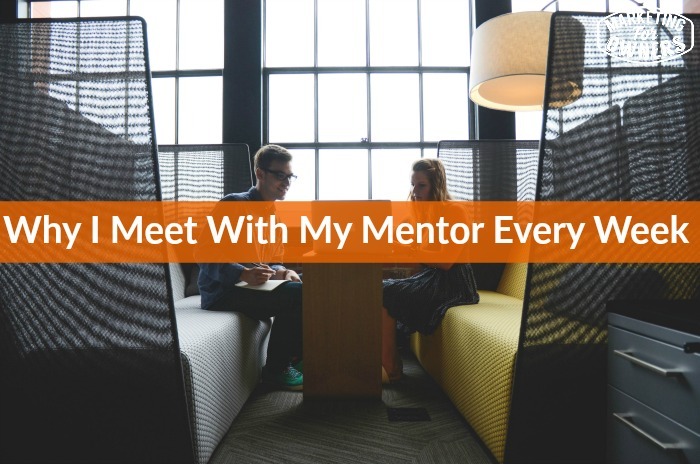 It can be a mentor for just marketing, you can be a mentor for running the business, it can be a mentor for improving your life, there are many many ways. Go for it, go on, do yourself a favor. Anyway, it’s Monday, it’s a lovely Monday, which means it is time for a book for the week. 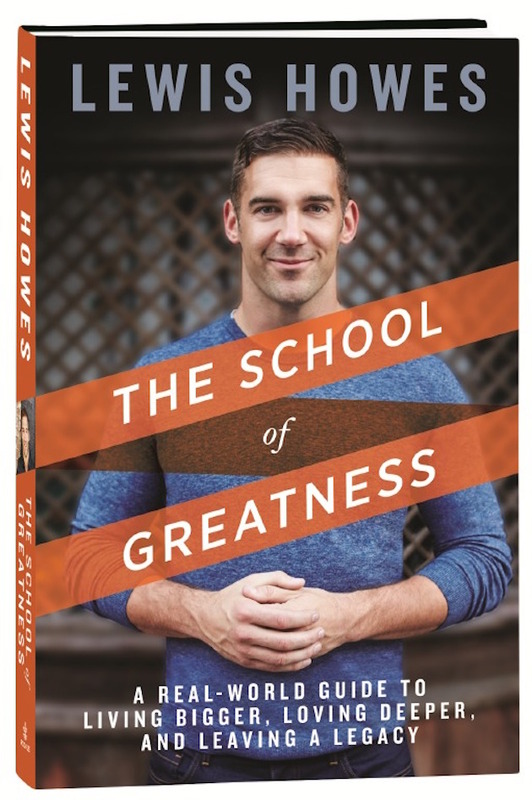 I’ve got a great one today, you must have heard of Lewis Howes, because he is fantastic. 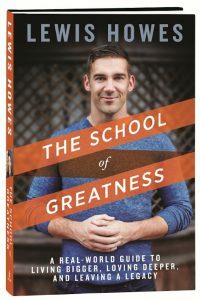 If you have not heard of Lewis Howes, shame on you, you’ve not been looking. He’s a great guy and he’s got a great podcast, fantastic networker, really sociable, really nice guy and he has written a book called The School of Greatness. Go read The School of Greatness, you will enjoy it, I promise you. Let me know what you think. And if you, by the way, let me know what you think of this podcast, go back into iTunes and look for the rating and give us a rating and a review. We love all our five star reviews, go read what other people said. And if you do like it, give us one because it shows that you like what we are doing. I’ll see you tomorrow. Bye-bye.